Lisa LaMarche and Michael Sicuranza formed Milestone Wealth Advisors to help clients take an important step in their journeys toward financial security. After decades of working in financial services, Lisa and Mike took their existing knowledge and best practices and enhanced them with a fresh outlook on managing client relationships. Their strategic alliance combines a similar business philosophy with key differences in backgrounds and experiences, offering clients superior, comprehensive wealth management. Using extensive analysis and sophisticated planning tools, Milestone advisors provide highly personalized service to each individual, family member, or business owner who steps through their doors. Take a step in the direction of Milestone Wealth Advisors whether you are planning for investments, education, savings, property acquisition, retirement, or if you’d like a financial stress test on your current portfolio. An important strategy in complex times, a financial stress test evaluates how your current portfolio will perform in various economic scenarios, such as another 50% decline in the stock markets. Founding partners Michael J. Sicuranza, CFP®, AEP® and Lisa M. LaMarche, CFP®, CPA offer clients an extensive career history in finance, planning, wealth creation and growth, and solutions for complex financial concerns. The emergence of financial conglomerates is the unavoidable consequence of the globalization of finance and the significant investments in people and technology required to serve a mass market. Big players by necessity must standardize. We believe that standardization of service clashes with the needs and aspirations of an increasing number of well-informed investors. We have chosen to build a specialist asset management firm that provides service beyond the management of money. We strive to be a sounding board for our clients’ investment ideas, and offer market intelligence by acting as a connector to a large network of investment professionals. Each of our clients must be able to access our principals’ knowledge, expertise for making informed investment decisions on their own. Thus, we serve only a limited number of clients. We deliberately avoid the path to mindless growth. 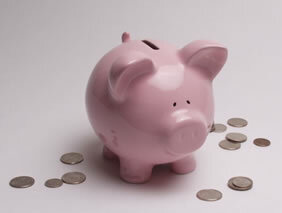 The Rentier’s Contract is a savings services with a fixed interest rate that is established in advance. We guarantee the bonus of up to 16.6% p.a. The Rentier’s Contract is intended for everyone who wants to use his/her accumulated resources as a Rentier. In other words, everyone who is willing to earn on his/her savings and accumulated capital should consider our offer. The point is to earn not to store cash that loses purchasing power over time due to inflation. I am a Certified Financial Planner™ at Morgan Stanley Smith Barney. I have over eight years experience in the financial services industry. I work with businesses and individuals regarding wealth accumulation, preservation, and eventual transfer to heirs. I abide by a stringent code of professional conduct created by the Certified Financial Planner™ Board of Ethics. Whether you are looking for a home mortgage for purchase, or considering refinancing in Wilmington DE, Newark DE, Hockessin DE, New Castle DE, Bear DE, Middletown DE, Smyrna DE, Camden-Wyoming DE, Dover DE, or anywhere in the State of Delaware, we have the Home Loan Solution to help you make the right choices. Free Loan Approvals Zero Cost, Zero Obligation and Zero Hassles! Apply online today http://www.philthrockmorton.com, or Call Phil Throckmorton 302-530-2299 Senior Mortgage Planner for a FREE personal consultation. Although our name is new, our business is not. For more than 40 years we learned, evolved, and led in loan management, servicing and asset recovery as Sallie Mae®. And now, we continue to lead as Navient, a company dedicated to helping our clients and the people we serve along the path to financial success. Park Medical Billing, is a premier medical billing service provider in NJ/NY. Entrusting your medical billing to our team of medical reimbursement specialists ensures that your claims are submitted correctly in a timely manner, each and every time. Unlike most billing company that provides one standard set of reports, PMB can fully customize reports specifically tailored to the needs of your practice. Our reports give you clear analysis of the revenue cycle in your practice. Our technologically advanced billing system, combined with over 25 years of medical billing experience will give you peace of mind, while generating continual cash flow. Park Medical Billing Inc. is fully compliant with HIPAA regulations, and stays up to date with changes in Medicare compliance guideline and upcoming ICD-10 implementation. I work with buyers, sellers and investors to assist with financial decisions through real estate. Payroll Management Assistance is a locally owned payroll company providing service throughout the country. We work directly with our clients to assure that the payroll process is catered to their specific needs. Our service takes the time-consuming tasks of payroll administration away from the customer so that they can get back to business. PMA is always researching to keep up with new and improved ways to assure up to date and cost effective payroll services. Our client service and timely response allows us to stand out from others. Every phone call and question is answered by a knowledgeable and friendly payroll coordinator. The priority of our company is customer satisfaction. Periop is an innovator in radiation oncology billing, revenue cycle management and reimbursement optimization. Our focus is on the health of your business. Brian Atallian began his career in home finance in 2002 as a Mortgage Consultant. Since 2002, Brian has helped over 1000 home buyers achieve their dreams of owning a home. He has been recognized as one of the top originators in the nation the last 5 years by the Scotsman Guide. Brian’s knowledge of current market conditions and his detailed evaluation of a buyers finances ensures that each buyer will receive the best mortgage to fit their needs. Brian is often commended on how efficient and effortless he makes the mortgage process for everyone from first-time homebuyers, to investors, to experienced buyers. Brian can always be reached on his cell phone @ 302 563 5599 or by visiting his website http://www.BriansLoans.com. Purchase Home Loans, Mortgage Refinancing, Adjustable Rate Mortgages, Jumbo Loans, VA Loans, USDA Home Loans. Primerica specializes in helping families make smart decisions with their money. Getting you out of debt, planning for your retirement, and keeping more of your income in your pocket is our specialty! Call us today for a FREE, No Obligation Consultation. Debt Consolidation. Life Insurance. Retirement and College Education Planning. Auto and Home Insurance. PrePaid Legal. If you find that you are overwhelmed by the sheer volume and complexity of the mail you receive, don’t understand your financial statements, overdrawn your bank account or just need to understand whether you have enough money to meet your long term financial goals, then give Principled Money Management LLC a call. I am a native of Delaware with 16 years experience in Delaware, Maryland and Pennsylvania. I take a great deal of time making sure my clients get the best customer service that I can provide. A professional rental property manager for the New Castle County Delaware area. Call 302-478-HOME to get qualified tenants into your rental home. 1st Time home buyer specialist and county grant programs; renovation with FHA 203K program; Veterans also welcome. Residential mortgages to purchase, refinance, renovate. Independent Planning firm, your first consultation is free, without any obligation. No product affiliations, unbiased planning. Secure Management, Inc. located in Newark, Delaware, acquires, develops, leases and manages commercial properties throughout Delaware. For over 20 years, this privately held company has owned a portfolio of properties from medical offices to neighborhood retail centers. Access to mortgage programs, incl. FHA/VA, USDA, conventional and jumbo products. Quick approvals and great rates. Staged Impressions works with home owners to get their property market ready, to appeal to the most buyers, so it sells quickly. Providing homeowners design assistance with color consultations, window treatments, furnishings and more to create a beautiful home! Property management company handling properties throughout New Castle County. Residential rentals from single family to multi family apartment buildings. Commercial properties also. Family ran business so you are dealing with principals who truly care about your property. We have been managing rentals since the late 1980’s. Two generations working with you and for you! We are a full service insurance and financial services agency. We take pride in the quality of our service to our policyholders. You can reach us 24 hours a day, 7 days a week. We serve the entire State of Delaware, with a concentration on New Castle County. We still make house calls! Give us a call and experience the difference! I guarantee you will be satisfied! We also have won the Best Insurance Agency in Delaware, through the News Journal, several times! State Farm Moore Insurance and Financial Svcs. We are a top of the line insurance and financial service agency. Jim Lee is an independent financial advisor helping individuals to improve their cash flow, grow assets, and prepare for retirement. He is a Certified Financial Planner (CFP), Chartered Financial Analyst (CFA) and member of the Association of Professional Futurists (APF). We provide a dynamic, forward-looking alternative to the run-of-the-mill investing approach offered by most financial planning firms. Through our expert analysis of developing trends, we believe we are able to pinpoint investment opportunities and risks well before others become aware of them. StratFI is committed to a client-first business model. We customize our investment strategies to meet the needs of our individual clients. Just as importantly, we never accept commissions for recommending any product or solution. Our goal is to help you succeed. The Paladin Registry independently evaluates and rates the qualifications of financial advisors. Paladin issues ratings based on a comprehensive review of advisor credentials, ethics, business practices, and services. Since 2004, Paladin has reviewed the qualifications of more than 16,000 advisors and awarded its 5-star rating to only the top 7%. At StratFI, we believe that our combination of experience, expertise and commitment to our clients puts us head and shoulders above the competition. We invite you to get in touch to learn more. Backbone for your business provides experienced, professional bookkeeping services to clients throughout the Tacoma, WA region and beyond. Setting up new businesses, shoebox accounting services, auditing, payroll taxes, and much more. Looking for tax advice and services for your business? I’m Stan Weinbrum, and it is what we do! In 1986, I opened my business called TAX ADVICE to provide the small to medium size business owner in Delaware professional Accounting, Bookkeeping, Tax, and Payroll Services. As an Accountant with decades of experience and knowledge, I specifically wanted to offer the business owner a way to affordably manage their day-to-day bookkeeping and tax obligations with accuracy and peace of mind helping them ‘avoiding tax penalties’. Further, saving them valuable time and money so they can do what they do best….run their business. At Tax Advice, my clients are my priority! I care about them, their business, its’ growth and one whom they can trust and confide in at anytime. And, as TAX ADVICE, I specialize in both Business and Personal taxes! Never Pay for Tax Advice…REALLY! Never pay by the hour! Fees are based on a flat rate per YOUR needs only! ….then you have come to the right place! Contact me today for your free and no obligation consultation. Why hire a single real estate agent to help you buy or sell a home when for the same price you can have one the most successful real estate teams available. Team Webster and the entire Keller Williams team are dedicated to customer service and to the real estate profession. Team Webster is full time agents that work in New Castle County, Delaware; Southern Chester and Delaware Counties, Pennsylvania and Cecil County, Maryland. One of the most important parts of our team is our back office support. We have listing coordinators and transaction coordinators to manage your selling or buying a home every step of the way to settlement. Our local real estate market is changing consistently. In today’s market you need an aggressive real estate marketing plan to get your home sold for top dollar. Team Webster spends up to 40 hours a week prospecting for buyers and sellers. Individual agents cannot afford to give their listings this kind of personal attention. Call us today 1-355-1834 to find out what it is like working with a real estate team that treats your home purchase like an investment and why we are one of the fastest growing teams in our tri-state real estate area. Live Waterfront. The Residences at Christina Landing are located on the Wilmington DE Waterfront and provide exceptional apartment living. From floor to ceiling windows to sophisticated kitchens with granite countertops, luxurious amenities are around every corner.